About four years ago, my boss told me I had to improve our site’s conversion rate to increase the company’s bottom line. The company was experiencing no growth because customer acquisition was getting expensive, so acquiring new and retaining existing customers became a top priority. I never worked on CRO (conversion rate optimization) before that, and my boss was just as clueless and offered no help. 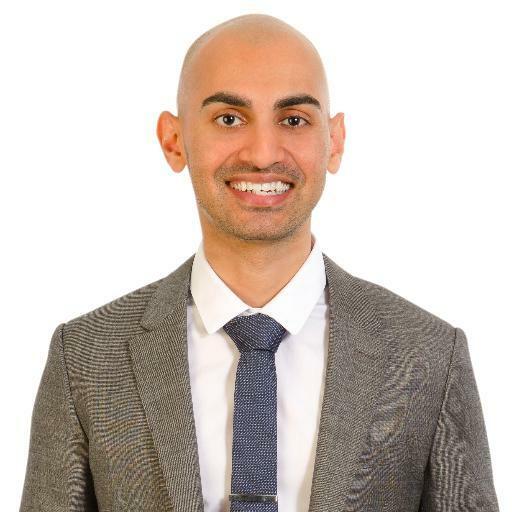 To ramp up for this new business priority, I subscribed to every CRO blog I could find, and that’s how I came across Neil Patel’s blogs. Over the years, I have pruned my blog list, but Neil’s blogs remained at the top. Why am I encouraging you to stalk his blogs? Not only is his blog well written, but his content is relevant, actionable, measurable and well vetted. I can’t tell you how many times I’ve tinkered with a strategy, tool or tactic right after reading his blog. That’s a sign of a great blog. Neil’s content is so compelling and useful that it propels you into immediate action. He is also brutally honest with himself as he shares his failures with the same scrutiny as his successes. As I noted in my musing about sewing, I believe failure is an invaluable learning tool. These are the top 4 reasons to start subscribing to Neil Patel’s blogs today at neilpaptel.com, quicksprout.com, and crazyegg.com. What’s the point of writing a blog if no one can find it? Some of you may think of yourselves as just a blogger, but to run a successful blog, you have to reposition yourself as a content marketer. What is content marketing? According to the Content Marketing Institute, content marketing is the “creation and distribution of valuable, relevant, and consistent content to attract and retain a clearly-defined audience — and, ultimately, to drive profitable customer action.” Not only does this include writing content, but it also encompasses all other online marketing activities like social media, syndication, search engine optimization (SEO), copywriting and PPC (pay per click advertising). A few years ago, Neil posted a piece about Reddit and what a goldmine it was for reaching passionate users who loved specific areas of interest, like sewing. I knew Reddit was huge, but when I read Neil’s analysis on the quantity and quality of Reddit users, my eyes popped out. Reddit is too big to be ignored. In the same post, Neil shows you how to participate in a subreddit while honoring its rules and guidelines. Most of the peaks you see on the chart, including the first two, are attributed to my Reddit postings. The sewing subreddit loved my first two postings because they were visually stunning sewing transformations, but they weren’t as interested in my other refashions based on fast fashion (my cold shoulder shirt was a colossal dud). I learned through this community’s engagement and comments that their aesthetic leaned more towards conservative than trendy fashion. Based on this analytics, I know what kind of refashions I need to focus on to better engage this channel. Also, to sustain this traffic, I need to post more content more frequently. If I didn’t read Neil’s blog, I would have missed out on this vast source of new readers. My biggest take away from Neil’s posts about copywriting is that you want to create a conversation and ultimately, a relationship with your readers. After years of following Neil, I feel like I know this guy even though I’ve never met him. I feel like he is on my side and truly interested in helping me become a better content marketer. Don’t get me wrong – I understand Neil makes his money by consulting and his end goal is to drum up more business. That said, I find his voice honest and authentic. Neil gave himself the challenge of generating $100,000 per month from a new blog by selling fish oil supplements without using any of his connections. He’s documenting this case study on his blogs, and it’s interesting to read his progress and hiccups along the way. I’ve watched him implement strategies and tactics he writes about with varying degrees of success. If you start following Neil’s blog, I promise you’ll find something you can execute right away to improve your blog’s performance. By the way, I’m not affiliated with Neil Patel in any way. I’m just a fan because his strategies and tactics work.